For more than seven generations, the Erie Cemetery Family has been a trusted part of Erie’s rich tradition and history. More than a just a final resting place, many visitors to our cemeteries find peace and comfort in the natural beauty of each property. Whether it’s the urban setting of Erie Cemetery, the former farmland at Laurel Hill, or the wondrous greens and waterways of Wintergreen Gorge, a visit to one of our cemeteries is a unique experience. 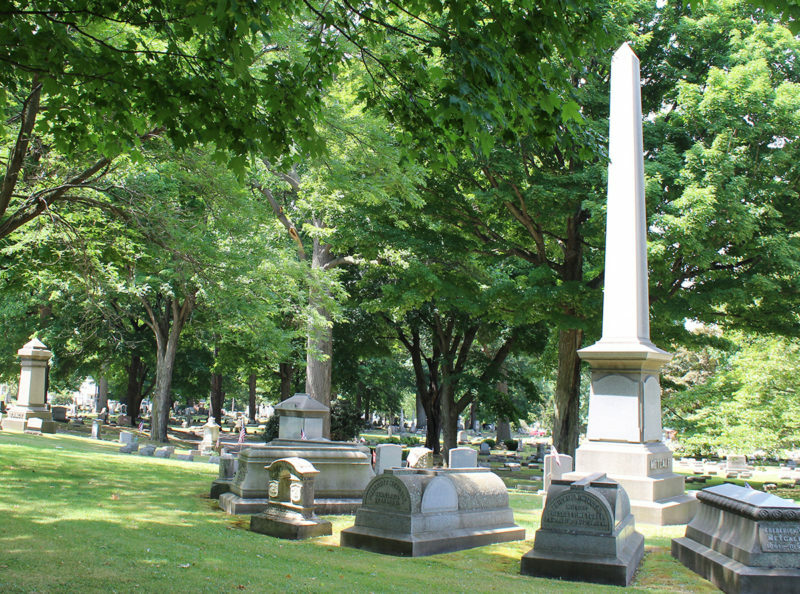 A stroll through the Erie Cemetery will provide you insight into the lives of some of Erie’s earliest settlers and founding citizens. The William L. Scott mausoleum, the grandest memorial in Erie Cemetery, carries with it a story of thievery dating back to 1911. And with several “coffin” or “bed rail” style markers, a form of nineteenth century American stones, there is a rich history of architecture found throughout the cemetery. Additionally, the canyon and waterways surrounding Wintergreen Gorge Cemetery have often been regarded as a place of impressive scenery by naturalists since the late 19th century. With wildlife, an exceptional collection of trees, shrubs and other plants throughout our cemeteries, the Erie Cemetery Association prides itself on providing beautiful environments for honoring heritage, remembering loved ones and commemorating special events and family occasions. 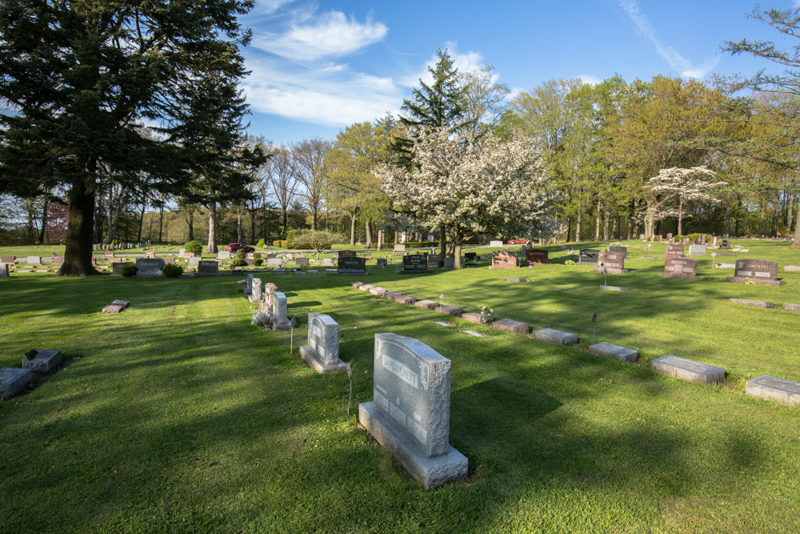 Dedicated to providing a variety of premier cemetery services that exceed the expectations of our community, the Erie Cemetery Association provides perpetual care at three locations, for all generations and cultures: past, present and future. We are a nonprofit, non-sectarian and non-denominational organization.